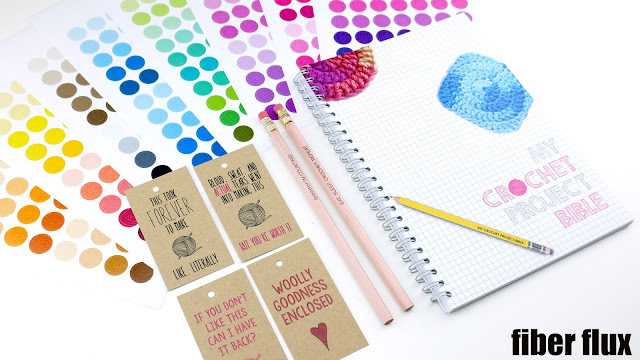 Fiber Flux: Crochet Stationery by Stationery Geek...Unboxing, Review, and Giveaway! Crochet Stationery by Stationery Geek...Unboxing, Review, and Giveaway! I have a fabulous review & giveaway for you today lovelies! The folks at Stationery Geek sent me a package full of goodies and I can wait to share them with all of you...they're so much fun! 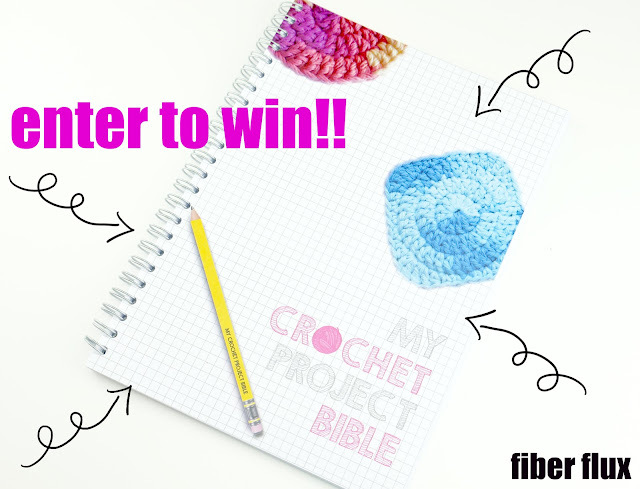 Be sure to scroll down for a chance to win a copy of the Crochet Project Bible too! Stationery Geek is a company based out of the UK that offers a full range of paper items and stationery for all occasions. They sent me some of the crochet stuff (yay!) but there are things for wedding, fitness, knitting, crafting, quilting, kids, and lots more. I also love their yarn ball stickers in a rainbow of colors...so much fun! Perhaps my most favorite thing of all is the awesome Crochet Project Bible...this handy book will help get all of those projects under control. There's space for all of the important information like yarn used, hook size, and sizing for example. Plus lots of graph paper for planning and charting too. I especially like the area to include a small snippet of yarn used for the project...so handy! Now is you chance to win a copy of your own! Enter to win using the Rafflecopter below (sometimes it takes a moment to load). Giveaway ends February 28th and is open worldwide. Now go, go, go, and enter!!! Extra special thanks to Stationery Geek for this giveaway! I received items shown in the photos to review...all options are my own. Absolutely love this! I'll have to go check them out! This is great! I like the crochet bible and the tags are super cute! I enjoy your videos and beautiful projects! This is so cool. I am definitely going to take a look at what they have to offer. Thanks for all your hard work and inspiration. 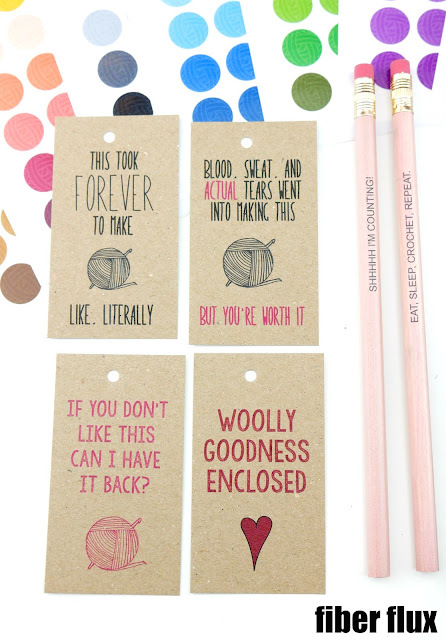 My favorite thing is the quirky tags from stationary geek and your fàmily throw. The adds are making difficult to write this post. I love the gift tags they are too cute! I am so desperate to win this. I am a busy teacher who loves crochet and planning. Last week I finally finished my coastal ripple blanket after 'only' 2 years. I have now started my cosy stripe blanket and am setting an aspirational timescale of 23 months!!! Hopefully winning this will help me smash that target. Oooh, I would love to win this! Thanks for the opportunity! I like the yarn ball stickers. I love those tags!!! And the journal would come in handy to record projects. Fantastic! I love taking notes in a small notebook, so this bible would be a great addition to my craft arsenal! The bible is great...but my favorite is the yarn!! Oh my goodness. Yarn ball stickers ������. I'm loving this whole set. Stationary and crochet...two of my favorite things! My favorite item has to be the crochet tags! They're so hilarious and adorable and I already know who I would use them with! I am relay like the crochet project bible .. This stationary is so great. I am a beginner crotcheter and it would help me keep notes on patterns that I am learning so much easier. Those tags are absolutely adorable! I would want to tag everything in my house, lol!